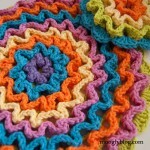 The Wiggle It Crochet Trivet and Dishcloth pattern is one of my most requested – to make for friends and family! 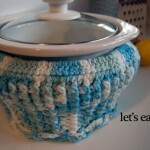 Pretty, practical, and easily customized for any size, this pattern is fun to make and use. 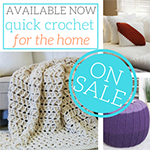 Most wiggle crochet is done in squares, but this pattern mixes it up and works in the round. Here’s how it’s done! 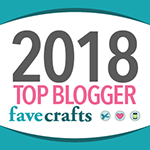 There is a photo tutorial and full directions for the Wiggle It Crochet Trivet and Dishcloth Set HERE, so I won’t repeat them on this post. But having made quite a few since writing the original pattern, I just want to emphasize how very customizable this pattern is. 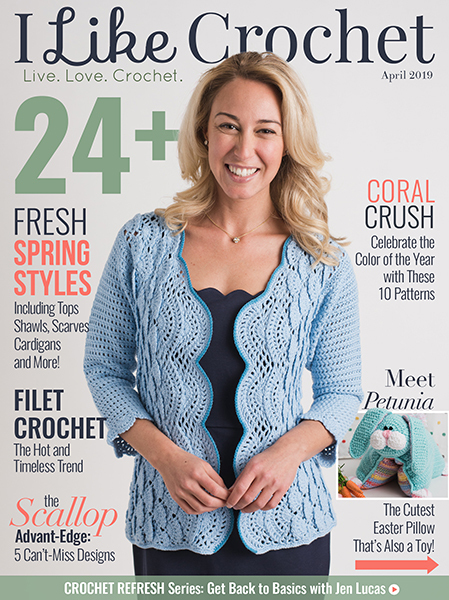 When making the base mesh stop after any row you like and move to the finishing scallop row – you can’t go wrong! One other note on this pattern – for many crocheters, the mesh tends to want to “hat” – or cup. If you see this happening, try switching to a larger hook size. You can switch mid- mesh or start over, it’s up to you. This is a trivet, and the mesh gets covered by the wiggles, so don’t stress too much! 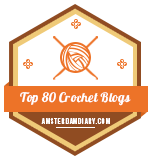 Everyone crochets with a different tension and that’s okay. It’ll all work out. If you get to the end of the mesh and it’s cupping just a little bit, try a good wet blocking – that usually straightens it out too. 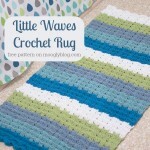 Just get it good and wet, and stretch it out to shape and lay flat on a dishtowel to dry. That’s all there is to it! 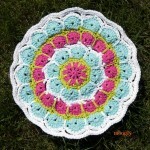 And remember – if you’re making this pattern as a trivet, be sure to use cotton! No acrylic! Acrylic melts under high heat, and the last thing you want to be doing is scraping melted trivet off your pots and pans. Cotton yarn is cheap and easy to find in most locations – perfect for kitchen things that are going to get used, abused, spilled on and thrown in the wash with the towels! 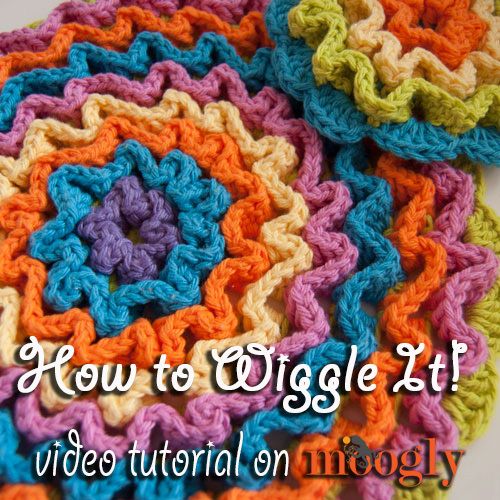 Thanks for watching the Wiggle It Trivet Dishcloth Tutorial! 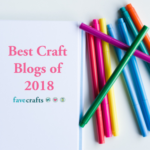 Get Moogly on your favorite social media sites: Facebook, Twitter, G+, Pinterest and Tumblr, and sign up for the Newsletter so you don’t miss a thing! lavori bellissimi , brava ciao. I am going to use this pattern to make pillows for my granddaughters. Thank you for the tutorial. Those will be so cute! 😀 Thank you Joan! 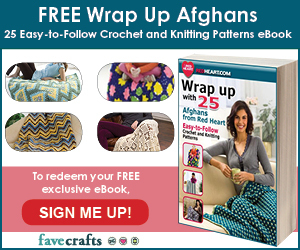 Tamara, Thank you SO MUCH for adding the PRINT FRIENDLY option to your patterns. I don’t want to add any new apps to my system and that option makes me love your patterns, your website…and YOU…even more! ♥ Thank you so much Julie!! I am so glad that I found this pattern. In the ’60’s my mother had a pattern similar and I have been looking for it for decades. Hers was based on white crocheted squares for the mesh background. Then somehow she did her wiggley bit so it looked like a rose. I think she used one color for the flowers, but a variegated yarn would look good as well. Has anybody seen something like that, or think of how to make the wiggley part look like a rose?